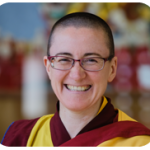 Following the NZDC Kelsang Shechog will guide a two day retreat. This is a perfect opportunity to deepen our understanding of the teachings we received. The retreat will be held at Kadampa Meditation Centre, Auckland. Retreat fees include all retreat meditation sessions and lunch each day. For options on accommodation provided locally please e-mail info@meditateinauckland.org.